The Bring Your Own Device movement is not new, however with small business now having equal access to the Cloud as its larger competitors, BYOD should now be considered alongside that cloud takeup. Quite simply the notion behind Bring Your Own Device is simple. Rather than our Gen Y and now Millenials being expected to perform on something that belongs in a museum, they may choose to bring to work their own iPad, Macbook Pro or other device of choice to work on. Said Gen Y and Millenials argue they will be more content and more productive working on their pride and joy gadget, and also have the flexibility of working out of hours – bonus. Or is it? 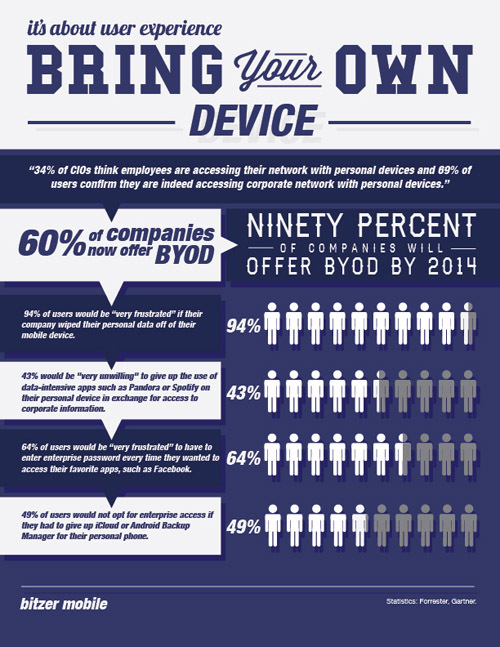 The advantages of BYOD far outweigh the disadvantges. Some things to consider are this: Security, Support and Insurance claims. Should said multi-thousand dollar device be damaged whilst at the workplace or being used for work purposes, who’s policy will cover the replacement? 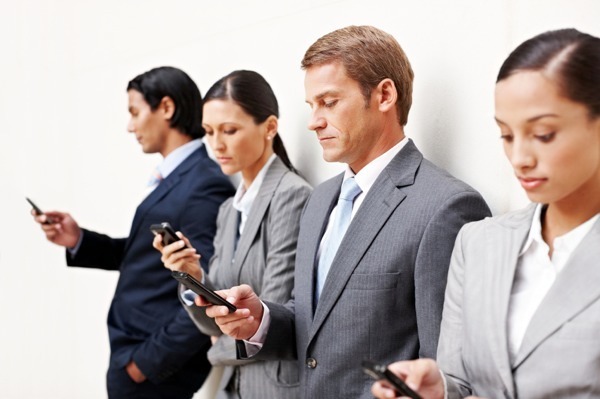 Your insurance broker should be able to tailer a BYOD package to suit. Your IT department will need to broaden their knowledge outside of the simple PC / Server architecture, however for Gen Y and now Millenial Network Admins, this shouldn’t be much of an issue. You could always lock the choices down to a few devices to keep things manageable. Access at its most crudest could be kept to a secure Remote Desktop Connection, only allowing connection to the device and user account in the allowed hours of operation. Best Practice Active Directory management would ensure User Access is also restricted. 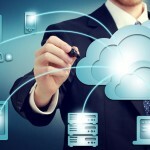 As Public and Private cloud environments gain increasing traction, the argument of access and reliable provision of services becomes almost nul and void. Cloud Vendors do need to be Brand Agnostic in their rollouts though for maximum market penetration. Another benefit to the small business owner is cashflow. Whether or not you choose to provide employees with an allowance, per Kraft in the USA (who gives their employees a Device Stipend), or not depends on your requirements and BYOD Policy. There is a real advantage to work with your employee here and show you really are an avant-garde employer. Why not come to a Salary Sacrifice arrangement with your employee (seek Tax Advice first! ), then offer to rent the device back from your Employee? Or simply pay your Employees a Technology Allowance so they can buy the latest tech of choice safe in the knowledge the Allowance will cover the costs. The Employee simply claims the cost of the gadget in their personal income tax return (again seek Tax Advice first!). However, the Australian Taxation Office have declared that iPads have substantially the same functionality as laptops hence would be treated the same as laptops in tax claims. So what are you waiting for, you’ve implemented some cloud technologies, you’re considering moving to Private Cloud, now take the final step and outsource your hardware to your Employees. They will love you for it. Or if you love Infographics, we have a great one below. And of course, if you require any assistance, our Consultants are ready to help!